Explore, Discover, and Learn in Beautiful British Columbia. There's more to a Geopark than meets the eye! Within a relatively small area, the hills, mountains and valleys around the town contain a remarkable variety of geological features. An outdoors person’s paradise. World-class dinosaur trackways and fossils have led to BC’s only vertebrate research center being established within the geopark. A cornerstone of our Geopark. Prehistoric to the modern we celebrate our diversity and honour our heroes. Come discover Tumbler Ridge’s unique history. 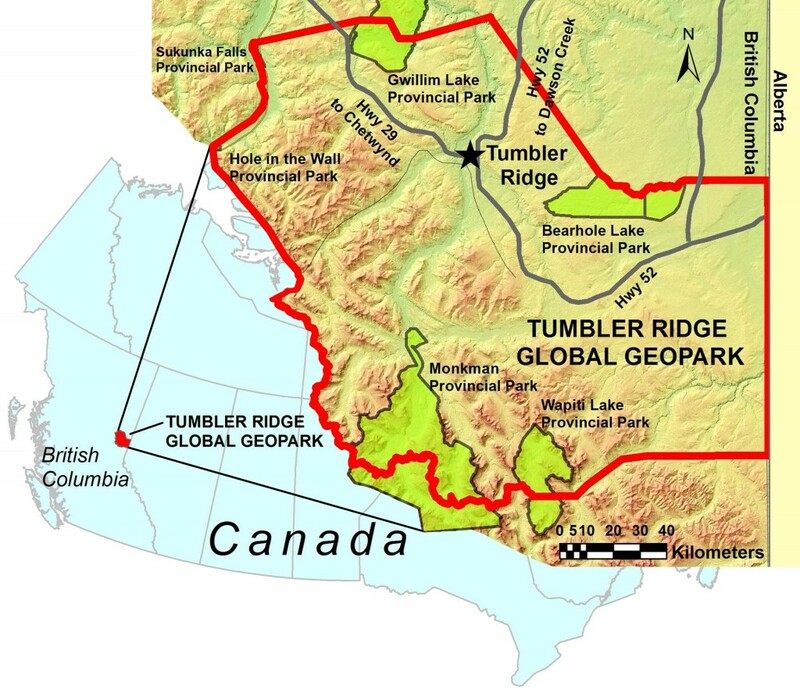 Meet the Tumbler Ridge Geopark Society and celebrate our history. Learn more about & contact the members of our board. Spring has Sprung! Have fun with friends and family and join Wild River Adventure Tours for scenic tours and exhilarating adventures on the Murray River and create memories that will last a lifetime! Take a trip to one of the true gems of the Tumbler.. Happy Earth Day from all of us at the Tumbler Ridge UNESCO Global Geopark! Plant a seed, clean up litter, get outside, reduce plastic waste, and just take a moment to reflect on the bond between animals, plants, and humans. Let’s make Earth Day everyday! Have you purchased your tickets for Tumbler Ridge’s very first escape room? Bring your family and friends with you to solve all of the puzzles and beat the clock. But remember, these rooms are not meant to be easy… most won’t make it out…. will you?.. Visiting the Tumbler Ridge UNESCO Global Geopark in the winter is just as magnificent as visiting in the summer and C Ball Exposed has captured the beauty in each one of these pictures. A UNESCO Global Geopark is an area recognized as having internationally significant geological heritage. Geoparks aim to reconnect people to the earth, whether through hiking trails, learning about mountain building, eating food grown in the local soils, or celebrating the stories of the people who have lived here since time immemorial. The geology in a Geopark may be linked to sites with interesting archaeology, wildlife, history, folklore and culture. Tourism industry promotion in a Geopark focuses on highlighting the geographical character of a place. Geoparks also inform about the sustainable use and need for natural resources, whether they are mined (we’re famous for metallurgical coal), quarried or harnessed from the surrounding environment, while at the same time promoting respect for the environment and the integrity of the landscape. Compared with national or provincial parks which are often “top-down”, government-initiated projects, a Geopark is typically a grassroots, community-driven initiative that depends on local passion and “sense-of-place”. Founded in the early 80’s as a mining community Tumbler Ridge has developed into a world class destination for eco-tourism. 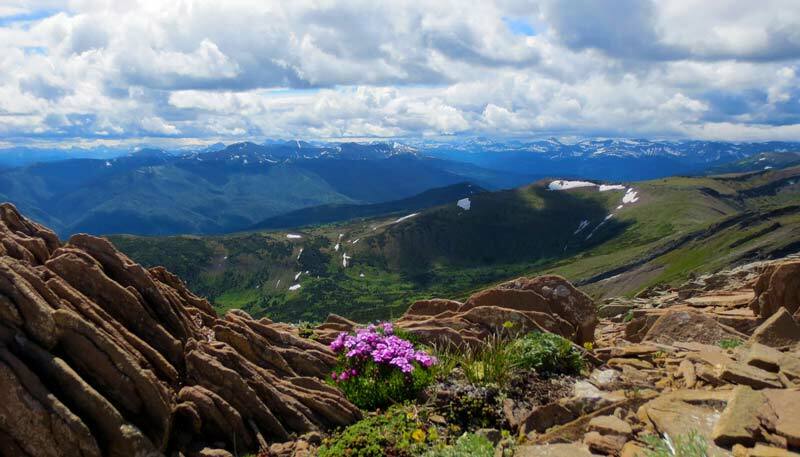 Featuring a full season’s worth of hiking trails and many other recreational options Tumbler Ridge offers a unique experience. We have a magnificent diversity of outstanding and accessible mountain geology, extraordinary waterfalls, and dinosaur fossils and trackways unmatched in the known world. For sheer joy and contentment, I know of nothing like this; a hundred miles or two from any civilization and no human being within miles… the spell of the mountains. Our outdoor recreation goes way beyond hiking and exploring. We have active ATV and snowmobile clubs that have developed the back country for quading, sledding and use by side by sides. Our Murray River is an amazing place to take a jet boat and we have campsites and lakes to satisfy any visitor whether they want to kayak, camp or just enjoy the peaceful serenity of the wilderness. The Geopark’s location within Canada. To the east is the Alberta border and to the west the Sukunka Valley in British Columbia. The total area is 8478 km2 or nearly 2.1 million acres.